Big Brothers Big Sisters of Victoria and Area relies greatly on in-kind contributions from individuals and businesses. If you are considering an in-kind donation, please e-mail us. 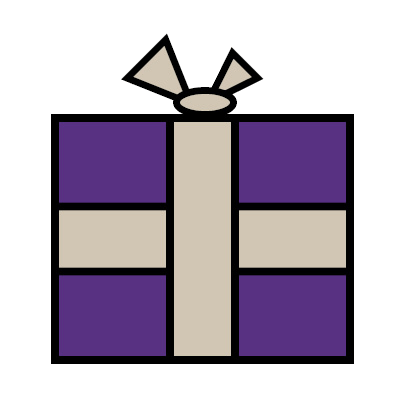 Big Brothers Big Sisters of Victoria and Area also accepts gifts in the form of shares and/or securities. At the next special occasion, honour a friend, mentor, or family member with a gift in their honour. If a loved one has recently passed, you can also make a gift to Big Brothers Big Sisters of Victoria and Area in their memory. We encourage people to leave a gift through their will or another planned giving method to Big Brothers Big Sisters of Victoria and Area. These events are organized by you or your community group (e.g. school groups, unions, or corporations) to help raise funds necessary for Big Brothers Big Sisters to operate and ensure that every child in our community gains the confidence to achieve more through a mentoring relationship. An event can be any activity by a non-affiliated group or individual. Big Brothers Big Sisters of Victoria and Area has no fiduciary responsibility and little or no staff involvement. However, we will support you and your event as much as possible to help it be a success. Event examples include: A “something”-a-thon, Raffles, Auctions, Parties, Video Game Fundraising Models – “something-for-kids-sake”.